Washington : Breaking a space exploration record on New Year's Eve, NASA's first asteroid-sampling mission, OSIRIS-REx, entered into orbit around the Bennu, making it the smallest object ever to be orbited by a spacecraft. Inching around the asteroid at a snail's pace, OSIRIS-REx's first orbit marks a leap for humankind. Never before has a spacecraft from Earth circled so close to such a small space object - one with barely enough gravity to keep a vehicle in a stable orbit. The Origins, Spectral Interpretation, Resource Identification, Security-Regolith Explorer (OSIRIS-REx) arrived at asteroid Bennu on December 3. The spacecraft, 110 million kilometres away, carried out a single, eight-second burn of its thrusters on Monday. 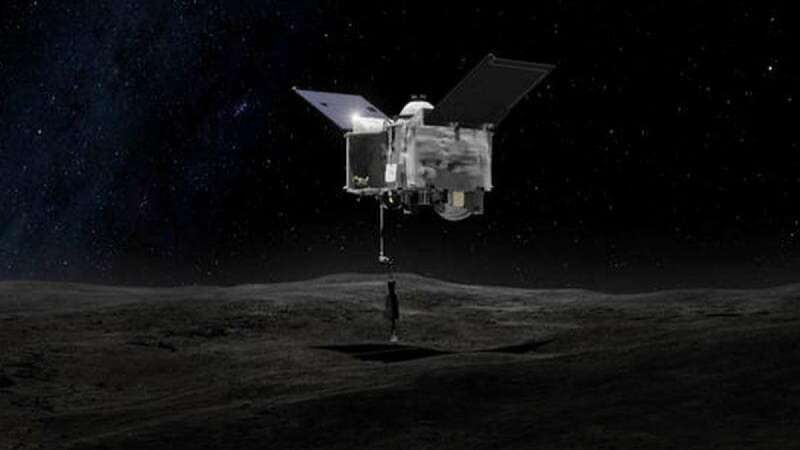 "The team continued our long string of successes by executing the orbit-insertion maneouvre perfectly," said Dante Lauretta, OSIRIS-REx Principal Investigator at the University of Arizona, Tucson, US. "With the navigation campaign coming to an end, we are looking forward to the scientific mapping and sample site selection phase of the mission," Lauretta added. "Entering orbit around Bennu is an amazing accomplishment that our team has been planning for years," Lauretta said. Now, the spacecraft will circle Bennu about a 1.75 kilometres from its centre, closer than any other spacecraft has come to its celestial object of study. Previously the closest orbit of a planetary body was in May 2016, when the Rosetta spacecraft orbited about seven kilometres from the centre of the comet 67P/Churyumov-Gerasimenko. The December 31 manoeuvre to place the spacecraft into orbit about Bennu is the first of many exciting navigation activities planned for the mission.